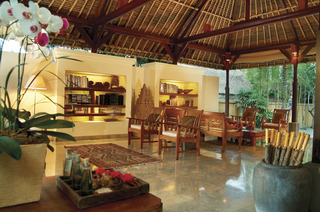 The hotel is located in Ubud, a well-known Balinese village that flourishes with traditional culture. Though unabashedly focused on tourists, the town is also the cultural pulse of the island, and is the richest region in Bali for art production. Guests can reach shopping outlets at the Ubud shopping centre and the Monkey Forest in around 10 minutes by car or public transport. The hotel is also situated only a 1-hour drive from the airport.The hotel offers a charming ambience set against magical views of rice fields and lush garden foliage. The magnificent surrounding nature and refreshing swimming pool area can be seen from each of the guest rooms, assuring guests an unforgettable stay. The holiday village comprises a lobby with hotel safe and restaurant where fine food and drink are served. Guests can stay connected thanks to the wireless Internet access, and for an additional fee they can take advantage of the room and laundry services on offer.Spacious and comfortable bedrooms have verandas which offer private outdoor relaxation and views of the pool, rice fields and a garden of various local flowers. The en suite rooms include a shower. A TV is provided, as is Internet access. A safe is available for the storage of valuables. Refreshments can be taken from the minibar. Guests can keep cool thanks to the individually regulated air conditioning that features in the accommodation.Guests can cool off in the outdoor swimming pool, or relax with a massage treatment at this establishment.Breakfast and set menu lunch and dinner options are served in the restaurant. This villa complex is set at the heart of the artistic and culture hub of Ubud. The resort is located within easy access of a host of attractions in the area, lying just a 5 minutes' driving distance from Ubud Market and Palace. Ngurah Rai International Airport is located just 40 km from the complex. This stunning boutique resort tempts guests into a veritable lap of luxury. The villas are eloquently designed, bathing visitors in luxury and style. The villas beautifully combine elements of traditional Balinese design. This complex features a wide range of exemplary facilities and services, meeting the needs of discerning travellers to a high level of excellence. Guests are assured of impeccable service and the utmost in quality at this resort. The property is strategically located at exotic of Bisma St Ubud, Bali, in a place brings guests to the real of Bali with cultural atmosphere. It is 5 minutes walking distance to Ubud's iconic Monkey Forest and Museum Puri Lukisan. It also is located 10 minutes' walk to Ubud Market and Ubud Palace, as well as 15 minutes' walk to the famous Antonio Blanco Museum and legendary Campuhan Bridge. Surrounded with rice field, the property is set in tranquil surroundings that make the hotel the best location for a relaxing stay. It features 20 well-fitted suites that have been decorated in a combination of the modern design of Balinese cultures and Hindu heritage. The establishment features the infinity pool and open restaurant. This comfortable hotel is in Ubud. 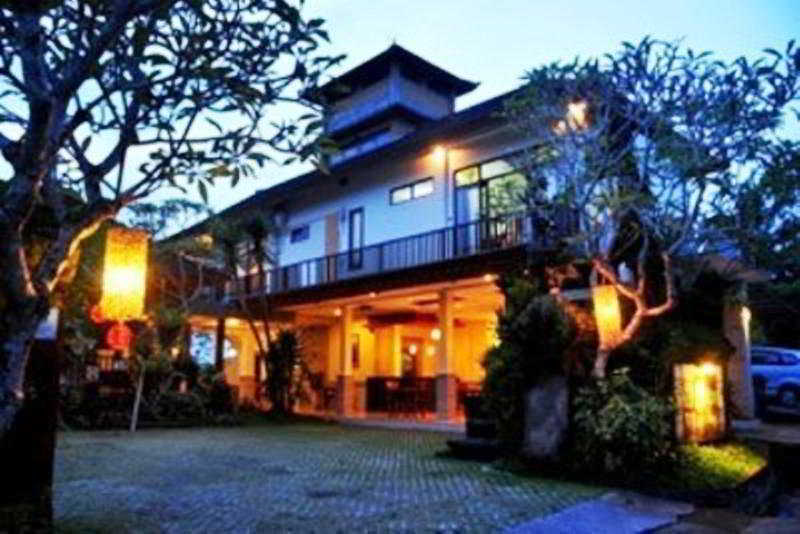 This holiday complex enjoys an idyllic setting at the heart of the artistic charm of Ubud. The hotel is located within easy access of a number of attractions in the area, as well as an abundance of shopping opportunities, dining options and entertainment venues. The complex is located just a short walking distance from the captivating Monkey Forest and the Puri Lukisan Museum. This complex offers guests a great setting from which to explore the delights that the area has to offer. This holiday complex is set amidst 12 hectares, comprising houses and villas designed in the traditional style of the area. The accommodation options are beautifully appointed, coupling charm and conveniences. The complex features a number of exemplary facilities, ensuring that guests leave with memories to last a lifetime. This comfortable hotel is in Ubud. With a total of 14 rooms, this is a nice place to stay. There is Wi-Fi throughout the property. Unfortunately, the front desk is not open 24 hours. This property does not offer cots on demand. Guests will not be bothered during their stay, as this is not a pet-friendly accommodation. Nestled within a lush garden, this family-friendly hotel offers excellent facilities where guests can relax in a spacious, luxurious and cosy environment. The rooms are designed in a combination of traditional Balinese styles, infused with modern furniture and completed with a wooden balcony area overlooking the rice terraces or the gently rolling green fields. The open-air large swimming pool is the ideal place for a refreshing early morning swim or for lazing around during the day and working on that healthy tan. Those who want to explore the area can use the bike hiring service and visit the attractions that are scattered around Ubud. When the time for dinning comes the onsite restaurant can offer delicious traditional and international dishes and pleasant atmosphere where to spend the balmy evenings. 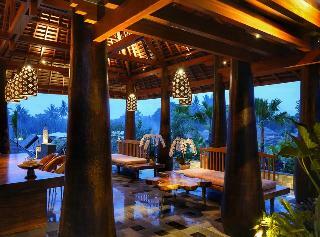 This luxury resort is situated in the centre of Ubud amidst lush tropical vegetation and exotic flora. The Komaneka Resort is a haven in the midst of the vibrance and energy of the culturally-rich city of Ubud. Guests will find themselves within easy access of the captivating attractions the area has to offer including Monkey Forest Road with its array of shops and restaurants, cultural performances and abundance of glorious temples. 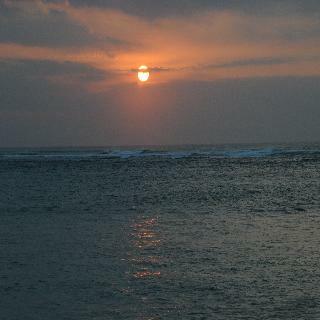 The capital city of Denpasar is situated 25 km from the resort just waiting to be explored. Reflecting the essence of traditional Balinese architecture with a contemporary twist, this aesthetically stunning hotel has been constructed with native woods, Indonesian stone and local materials. The elegant guest rooms shower guests with natural light from the full length windows boasting breath-taking views of the rice gardens or tropical garden courtyard. This bungalow complex enjoys a prime setting at the heart of Ubud, lying within easy access of a host of attractions in the area. Guests will find themselves just a short distance away from Ubud Monkey Forest, Ubud Palace and the market. 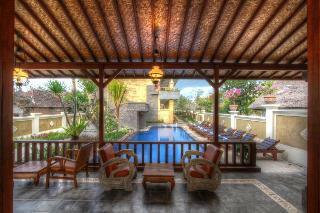 The hotel is located just a 45 minutes' driving distance from Bali International Airport. This complex features an attractive architectural design, reflecting the exotic surroundings in its style. The complex features a perfect blend of contemporary elements and traditional design. The guest rooms are exquisitely designed, and are well equipped with modern amenities. The complex features a range of exemplary facilities and services, meeting the needs of every type of traveller.